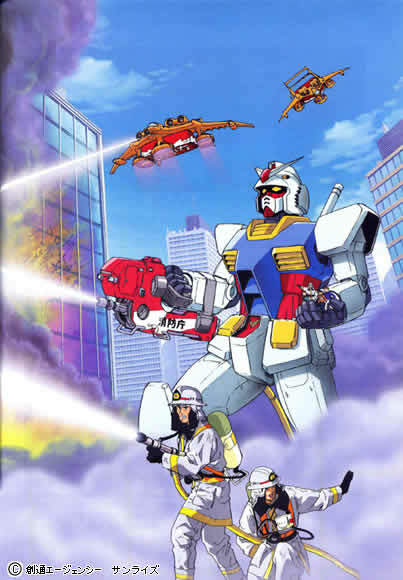 Gundam is, as we mentioned above, an anime about giant robots used instead of tanks in battles. The original anime is from 1979, and tell a story about how humanity has spread out into space, and are now populating space colonies. Some of these colonies join together as the Principality of Zeon, and start a battle for independence from the Earth Federation. This war claims almost half of the population on both sides, and quickly end up in a stalemate. It is in this stalemate that we are introduced to the main characters, and the anime Mobile Suit Gundam starts of. After the original anime, several other animes, as well as spin-off work, has been produced, and the story is either built on further, or set in parallell universes with different stories, but all connected in that they use “mobile suits” and that the “Gundam” suit is in there somewhere. A poster for the Japanese Firefighting corp, with the help from Gundam. Force code-named its developing advance personal combat system as Gundam, the Mitsubishi Lancer Evolution appearance is influenced by the Gundam mobile suit, and some products have special “Char Custom” editions in Japan, which are normally a red version of a product, imitating the custom red mobile suit, used by Char Aznable, a Zeon faction main character in the first few Gundam series. Such examples include a red Nintendo Gamecube and Game Boy Advance SP. 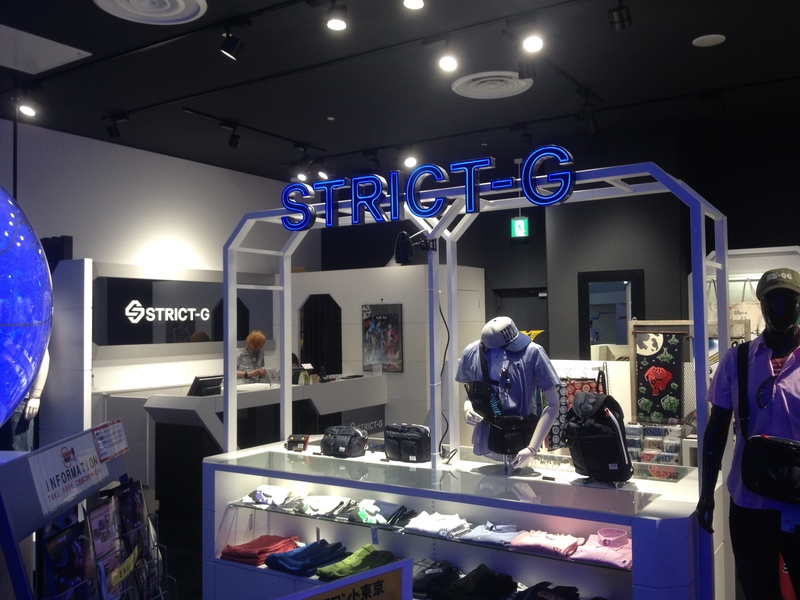 So whether you are a Gundam fan or not, it is still a huge staple in the current Japanese culture. 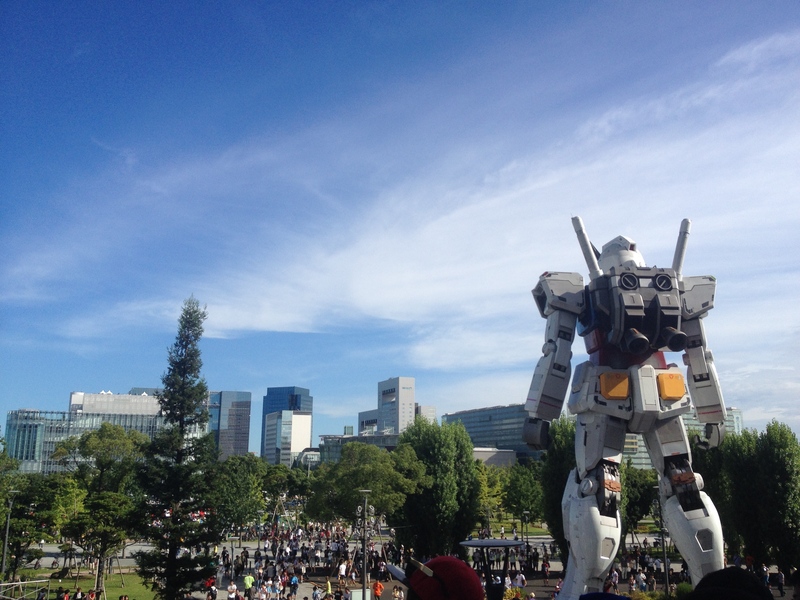 And if you are a Gundam fan, or want to become one, or just want to know more, I can recommend the animus, but also a visit to Odaiba, Tokyo. 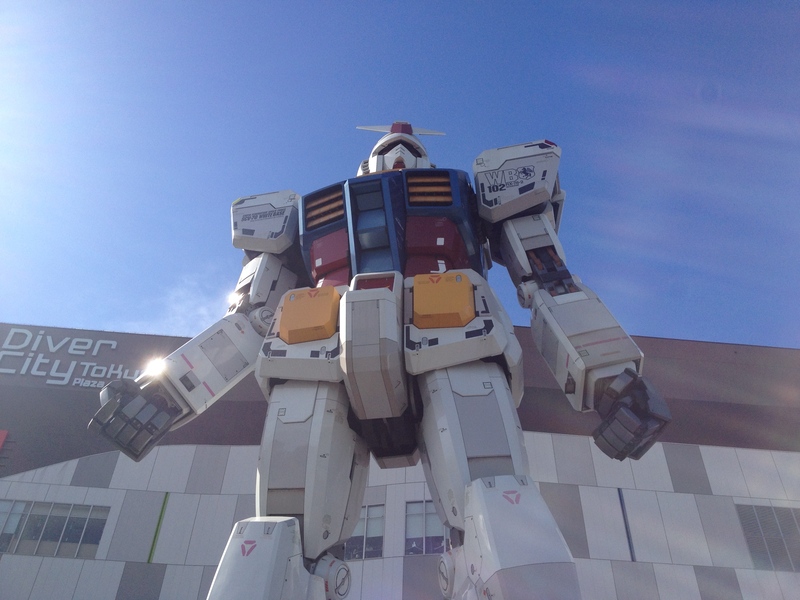 Here you can see a life-sized statue of the titular mobile suit in front of the Diver City mall. 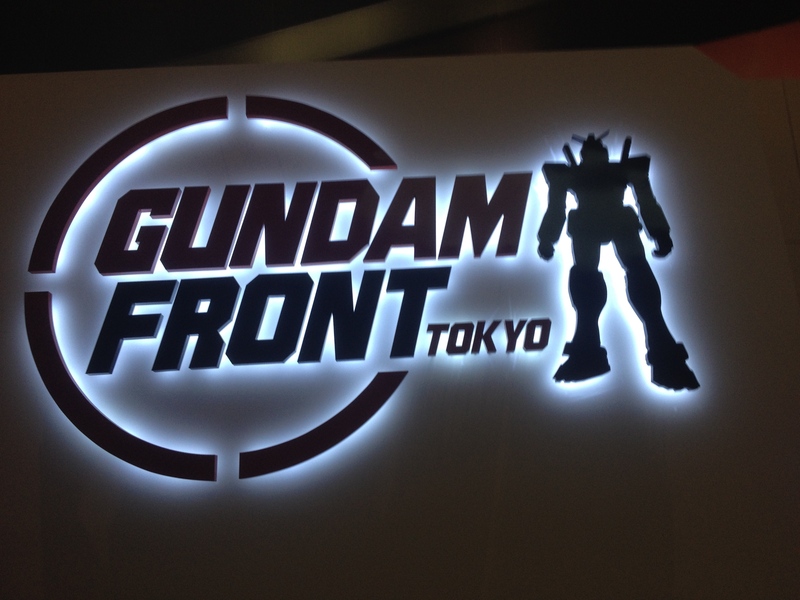 And on the 7th floor of the mall you can either visit the figure shop, the clothes shop, or experience the Gundam Universe even more in Gundam Front Tokyo. Reblogged this on pH's Blog.